RBG sees itself as the extension of the Human Resources staff for the companies we work with, combining technology and personal interaction into financial and educational services that many participants will never be able to afford or understand on their own. Our specialists explain and clarify the retirement plan process and procedure, gather data, and help define goals for their employees. We are strong advocates of educating participants through one-on-one planning meetings, personal financial reviews, participant transition consulting, and overall clear and concise communication. RBG advisors believe that personal financial goals should start with a well-defined action plan. Millions of Americans change jobs or retire each year, facing decisions that can dramatically affect their financial futures.  At RBG, we consider ourselves not only retirement advisors, but retirement educators. Managing money and protecting assets with retirement in mind is a difficult and complicated process. Retirement Benefits Group clients experience an attentive, thoughtful approach that is personalized to their best interests when planning for life and financial concerns.